How cute are they?! They others are just as cute!!! 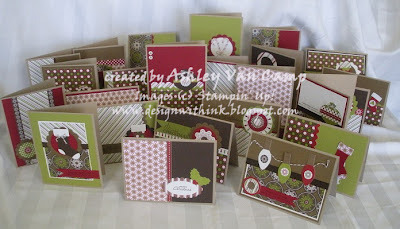 The cost to make ALL 24 cards and envelopes is just $28.00!!! Each card will be unique so you will have 24 different cards to mail out this holiday season. 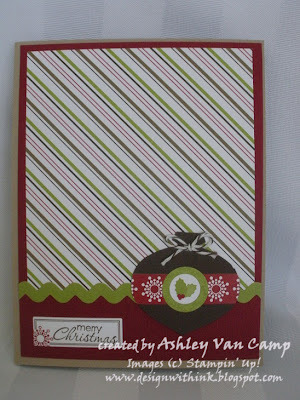 Even better...I have designed all of these cards to be EASILY MAILABLE!!!! You can pop them in their envelopes and ship them on out with NO EXTRA postage!!! Here is a close-up of a few of the layouts... The cost of the scrapbooking option is just $30.00!!! 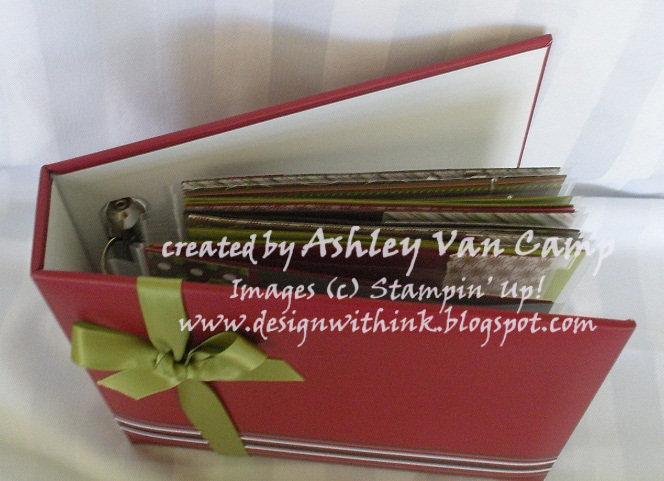 That INCLUDES all supplies needed to do the 20 pages AND the coordinating 6x6 album and page protectors!!! Now if you are IN LOVE with both and just can't decide...you can DO BOTH!!! If you want to do BOTH the CARD MAKING option AND the 6x6 scrapbook option...PAY JUST $52.00!!! That is a savings of $6.00!!! 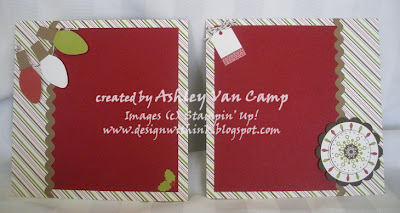 CLASS REGISTRATION FEE: $28.00 for the Card option or $30.00 for the 6x6 Scrapbook option OR $52.00 for BOTH!!! You will receive all the supplies needed for whatever option you register for. The only thing you need to bring is your adhesive!!! PLEASE BRING YOUR ADHESIVE OR YOU CAN PURCHASE AT THE CLASS FOR A FEE. Class On The Go Kit: If you live to far away to attend the class or just can't make it that night, feel free to register for my CLASS ON THE GO option!!! It will come with all the supplies needed to complete whatever option you register for. (Or for both options if you register for both!) 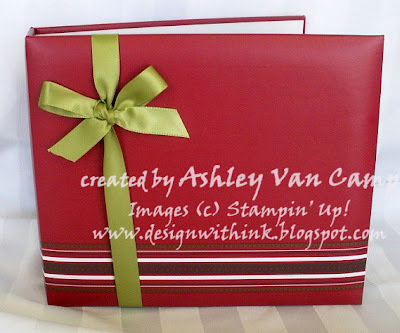 I will also provide step-by-step instructions for you to be able to complete the projects with ease!!! The price for the kit is the same as if you attended...just add $5.00 if you need it shipped to you! ***BRING A FRIEND: If you register a friend that I have never met before...you will receive a FREE GIFT for YOU AND YOUR FRIEND!!!! Please let me know if you have any questions!!! Just call/email/text to RSVP for the class!! The greeting is actually stamped on the inside of the card. 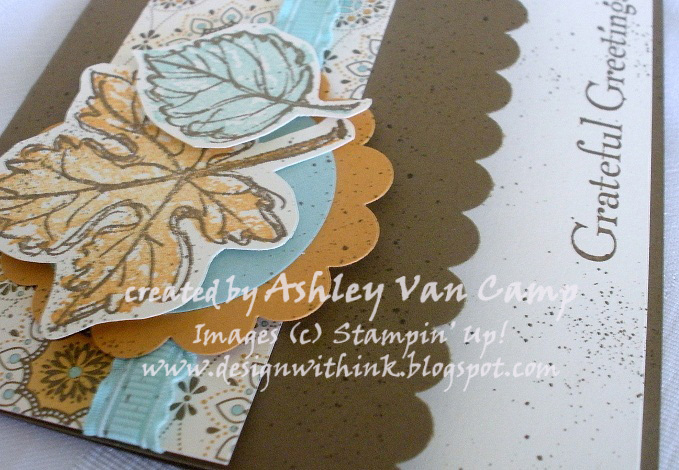 I cut about an inch off the front of the card, and then scalloped the edge. This let me stamp the greeting on the front. This was a fun card to make! Hope you enjoy! Thanks for visiting!!! Here are some close-up's... I LOVE this pumpkin. 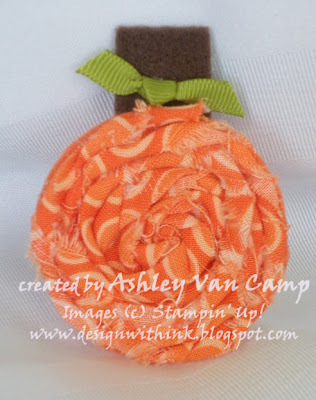 Just took a strip of some orange fabric, cut out a circle with my Big Shot and Circles # 2 die ( I used that a LOT for these projects) and started rolling and gluing. The EASIEST way to do these is cut a circle from the Sticky Pages (just basically a 12x12 sheet of Sticky Strip) with the Circles #2 die. 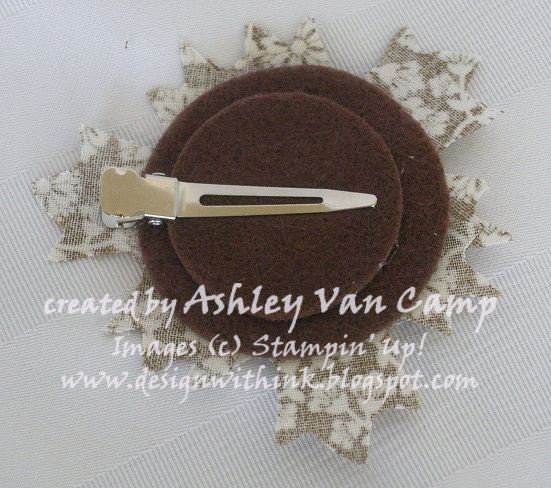 Then mount that on a cardstock or felt piece the same circle size. Then you don't have to constantly be hot gluing the fabric down. 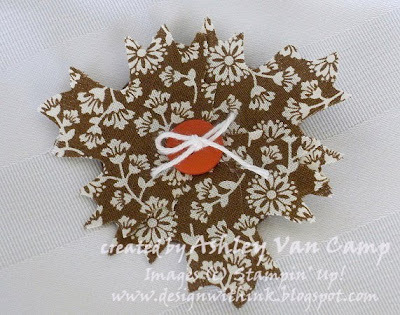 You just stick your fabric down in the middle, roll your fabric around in a circle, and just sticking it down into the Sticky Pages as you roll. 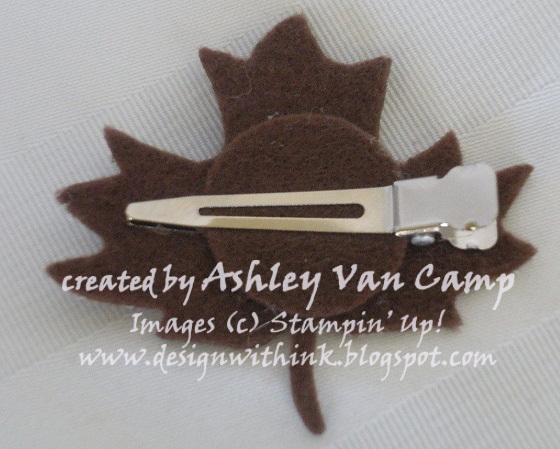 Then I just cut a strip of brown felt for the stem and tied some Old Olive ribbon in a knot and glued it down. 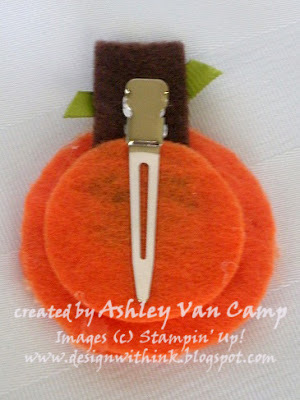 Just cut out a circle smaller than the pumpkin circle and glue it on to the clip and pumpkin. 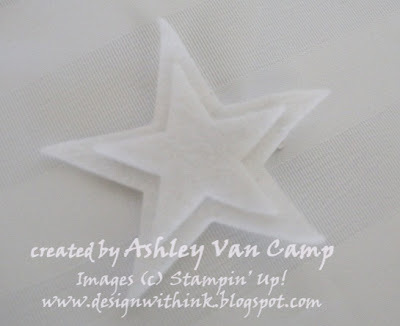 Then the star is looking a little sad...but with glitter all over the felt...MUCH better! :) I just cut out two circles from the Star die and layered them on top of each other. I forgot to get a picture of the back...but I did the same thing as the others so hopefully you can figure it out. Hope you enjoy! Gotta love the Big Shot and all it's many uses! 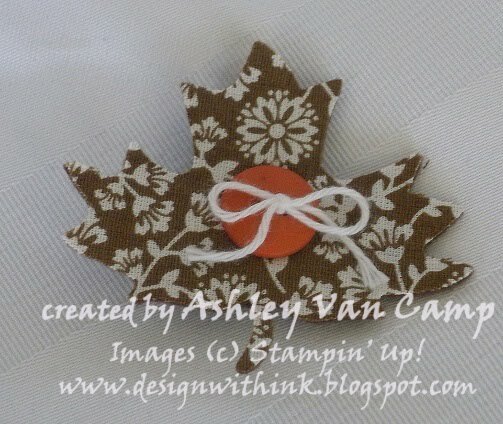 When I cut the pieces out for all the ladies....it seriously took me like 1 hour to do enough circles/leaves/etc. for like 80 hairbow's of each design. Being able to do 8 layers at once REALLY made things go fast!!!! Thanks for visiting! 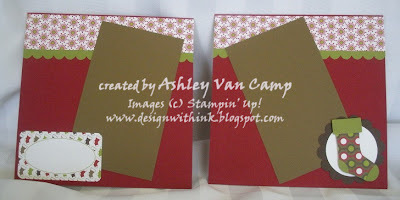 And yes...that stamp set is one I got FREE for ordering the kits!!!! Gotta love FREE!!!!! 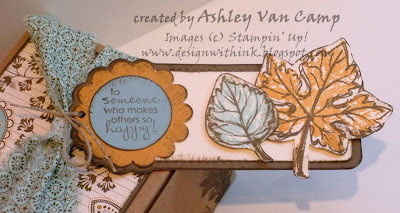 That sentiment is from the "Petite Pairs" stamp set. 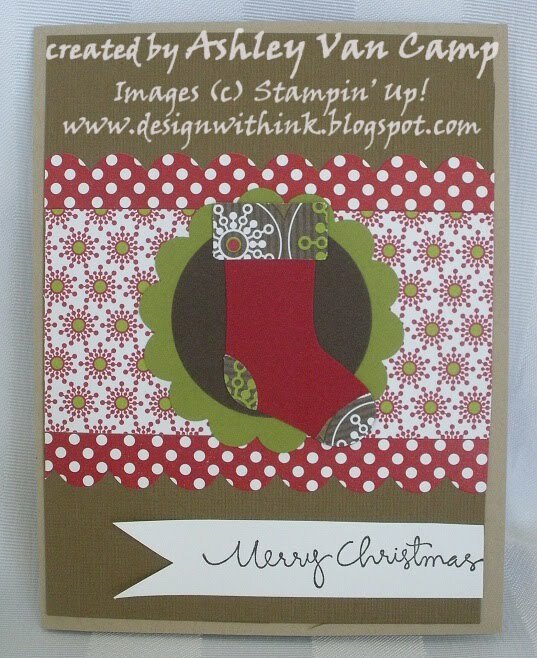 I just got this one, and just LOVE all the fun and unique sentiments in it. Check this one out for sure! 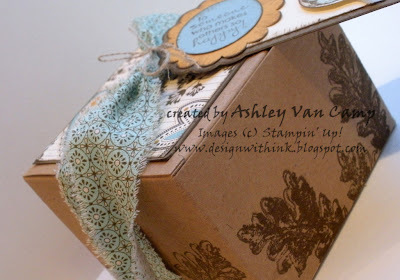 I thought this would be a great little gift box to put a yummy treat in to give to all your guest for your Thanksgiving dinner. You could even make these your name cards. Or if you are going somewhere for your Thanksgiving dinner...what a fun "thank you for hosting" gift box this would make!!!! Or if you have already celebrated Thanksgiving....it's a great gift box for this time of year for any event or any reason you have to say thanks!!!! Hope you enjoy! Thanks so much for visiting!!! This is one fabulous deal! CLICK HERE to sign-up right online or to read more information! Email me at designwithink@gmail.com for more questions also! Would love to have you join my team!!! This is an amazing opportunity for YOU to give this a try!!!! Yet there is NO obligation to purchase anything or sell anything after you buy the starter kit. 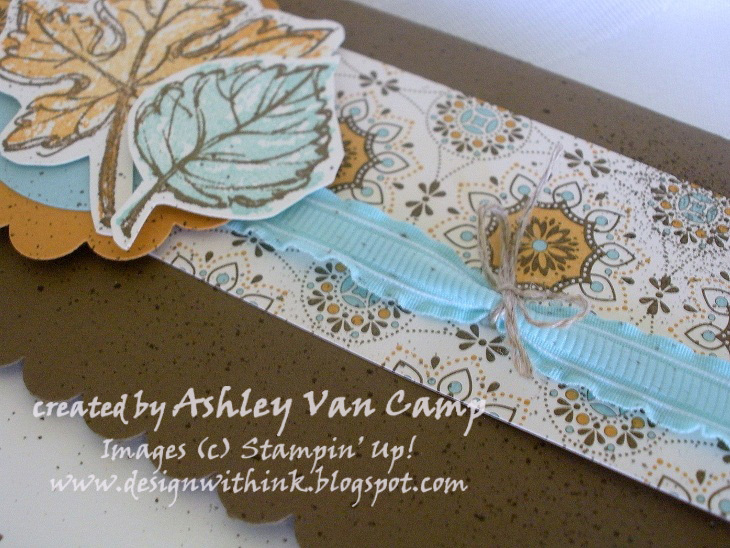 You will enjoy some special perks and benefits as a demonstrator (including a discount on your Stampin' Up! supplies, a FREE monthly magazine from Stampin' Up!, and lots of other fun things!) that you don't want to miss! Let me know if you have any questions or need help with anything! Thanks for visiting!